It may seem strange that the Raven Trust sends quantities of blankets and woollen clothes to such a hot country as Malawi. However, in the mountainous region, high above sea level, it can get very cold, especially at night. Donations of knitted and crocheted goods for children are always needed as well as other clothes and blankets for babies and young children. 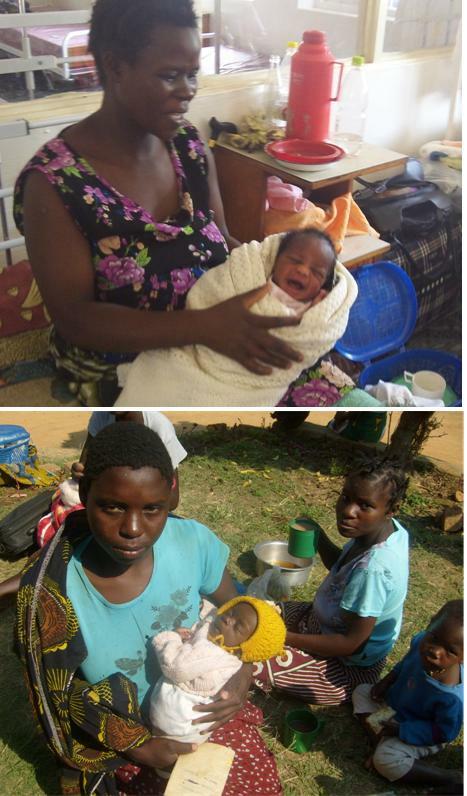 The boxes of baby/toddler clothes and blankets are sent to Orphan Care Departments in Livingstonia (Mrs Soko) and Ekwendeni (Esther Lupafya), to Maternity Wards in Livingstonia and Ekwendeni and to Mlowe Clinic. The staff in all these departments would like all those who have donated baby and children’s clothes and blankets to know how deeply they are appreciated by those to whom they are given and how much excitement there is when a Raven Trust container arrives with boxes of gifts from the UK.